Today’s guest post is by author Tiana Warner (@tianawarner). The Art of Marketing conference in Vancouver was a full day of marketing insight from Seth Godin, Nancy Duarte, Mitch Joel, John Jantsch, Brian Wong, Keith Ferrazzi, and big-name sponsors like Microsoft and CBC. 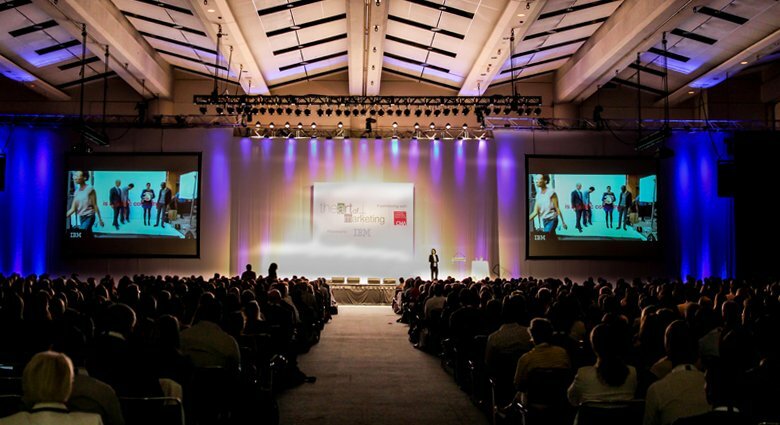 Each highly qualified speaker offered a unique perspective on the current and future state of marketing. Below are 7 essential takeaways from these world-class marketers, and my thoughts on applying them to the book industry. The mass market no longer matters. 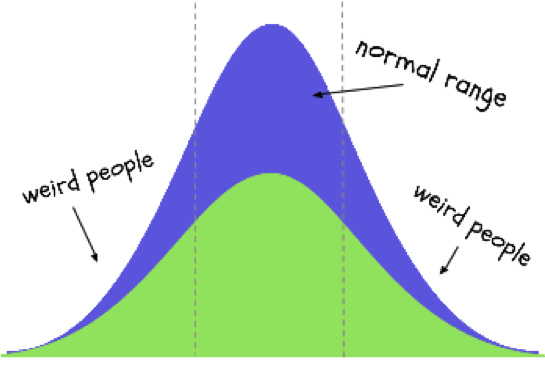 The bell curve is melting, and more people fall outside of the normal range than inside. Target the ones outside of the normal range (what Seth Godin called the “weird people”). What’s your niche? Zombie romance? Identify your exact audience. Hit up the place your ideal reader hangs out—both online and in the real world. You must go find your loyal followers. Modern marketing is not about broadcasting to anyone and everyone. It’s about building emotional connections with the right people. Create deep, loyal relationships with readers by genuinely caring about them. Be real, be vulnerable. With those deep relationships in place, your web will start to build itself. It’s Metcalfe’s Law: readers will tell others about your book if they like it, and the value of your network will explode. People naturally want to be in a tribe—i.e., a group with a common purpose. What’s your tribe? Find it. They key word here is find. Find, not create. You don’t need to invent a subculture—you just need to show up to lead it. Someone must become the leader of a tribe, and that someone can be you. Then lead with generosity, intimacy, candor, and accountability. Market to people who want to be marketed to. Don’t invade their space and privacy. It seems obvious: the most effective way to sell a book is to offer it to someone who is looking for a book to read. John Jantsch talked about The Marketing Hourglass: Know, Like, Trust, Try, Buy, Repeat, Refer. This is a unified process, and an order of events we all need to remember. Seth Godin said one of his early books on the internet was a failure because he saw the internet and tried to make a book. Yahoo, on the other hand, saw the internet and made a search engine. We must think in terms of what works now, and not attempt to mold it into something we’re comfortable with. Every speaker talked about generosity. People don’t want to connect with a selfish person. Give away copies, offer valuable content, offer rewards to your advocates. Would your followers miss you if you didn’t show up tomorrow? The answer should be yes. Offering valuable content is key for your website, blog, and social media platforms. As mentioned above, sharing valuable content is important to building a following. Use the rules of a story when developing content in order to connect with your audience at an emotional level. Story is the best way to create meaning around a brand. Write content using a 3-act structure. Have a beginning, middle, and end, with thresholds in between. Establish what’s “at stake” for the audience (your protagonist), and ensure they emerge transformed. You are the intervening mentor who helps the hero get unstuck when they encounter roadblocks along the way. Let your passion show, draw from a range of emotions, and use rhetoric. People identify more with brands that offer a human connection. Fear is an indication that you’re onto something good. Use it as fuel. The future is about connecting the physical world to the online world. We shouldn’t try to stand out of the crowd. The crowd will make us change who we are. The way to stand out is to avoid the crowd altogether. What else do you see as the new face of marketing? If you’ve used these principles, have they worked for you? Posted in Guest Post, Marketing & Promotion and tagged author platform, book marketing and promotion, online communities, readers. Tiana Warner is a YA fantasy author and technical content marketer. Her forthcoming novel, Ice Massacre, is currently in the runnings for the Amazon Breakthrough Novel Award. Tiana spent her childhood painting Disney coloring books entirely in black, which her family found quite disturbing. She would love to connect with you, so send her an email and/or follow her on Twitter. Love these takeaways. Thanks for sharing. The Godin quote in the bonus notes is gold. You’re welcome, I’m glad you enjoyed it. I agree – Godin always seems to have some nugget of insight. Worth going for Godin alone. Well done and thanks for sharing. I agree – he was my reason for attending! Turns out every speaker was top-notch and had something valuable to share. I’d definitely go again. Interesting. It all makes so much sense when you boil it down like this. Trying to implement is another story. I feel like most days I’m just floundering around and shooting arrows into the dark. Thanks for sharing what you learned, I need to have a big think about it all and try to strategize more effectively. I’m glad you found it helpful. If you want to learn more about this, just search for “content marketing” and you’ll find loads of information. This type of marketing can be thought of as “caring instead of selling”, and it’s worth educating ourselves on the strategies involved. Anyway, this is great stuff, and I will spread it around. Love Grodin’s quote about the shipwreck. That’s strange; I wonder if Disqus isn’t loading properly for some people; for me, it still reflects sign-in options with Facebook, Twitter, and Google Plus (as well as Disqus). Hmm. That’s what I see, too, but when I hit Twitter, it redirected me to register with Disqus. I used to be able to sign in with WordPress, and that’s gone. I used my Google Plus/Blogger ID instead, but I’m surprised they’re pushing away the WordPress/Twitter people, since this is a WordPress blog. Ah, I see. They changed their policy. Now I’ll have to rethink using Disqus! Frustrating. Great advice. Thanks for this. Wonderful ideas, takeaways and thoughts. I wonder what governments would be like if they practiced similar ideas with their constituents and other governments? A government based on generosity, trust, and building loyal relationships? I daresay the world would be a better place! Good list. A lot of these things seem like a no-brainer, but many people are still missing them. Couldn’t agree more on the ads, either – they’re often a complete waste. And those sites that have 2 to 3 pop-ups? I leave and never come back. You’re absolutely right; marketing in the age of social media is all about generosity. Reach out to other writers, promote their books and their blogs, and introduce people to your contacts. The more you give, the more you will receive. Thank you for this. It’s simple, clear and do-able. I want to learn from the best Internet marketers of the world. Can you tell me …who deals with the topic “Traffic”.